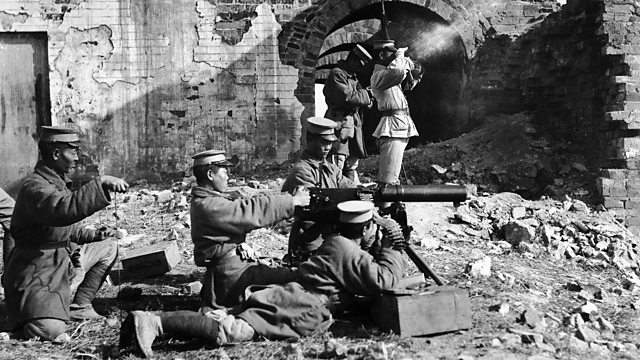 Melvyn Bragg and his guests discuss the Sino-Japanese War of 1937-45. After several years of rising tension, and the Japanese occupation of Manchuria, full-scale war between Japan and China broke out in the summer of 1937. The Japanese captured many major Chinese ports and cities, but met with fierce resistance, despite internal political divisions on the Chinese side. When the Americans entered the war following the bombing of Pearl Harbor, the Japanese found themselves fighting on several fronts simultaneously, and finally capitulated in August 1945. This notoriously brutal conflict left millions dead and had far-reaching consequences for international relations in Asia.